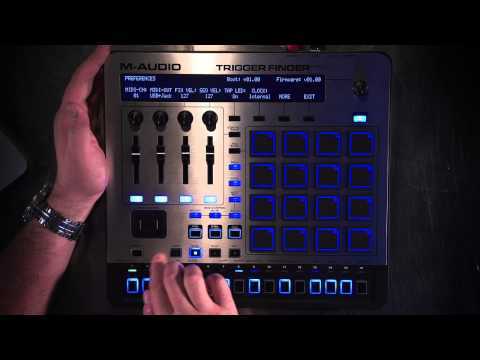 Offering unparalleled musical expression and software integration, Trigger Finger Pro is a fully loaded pad controller with a standalone step sequencer. 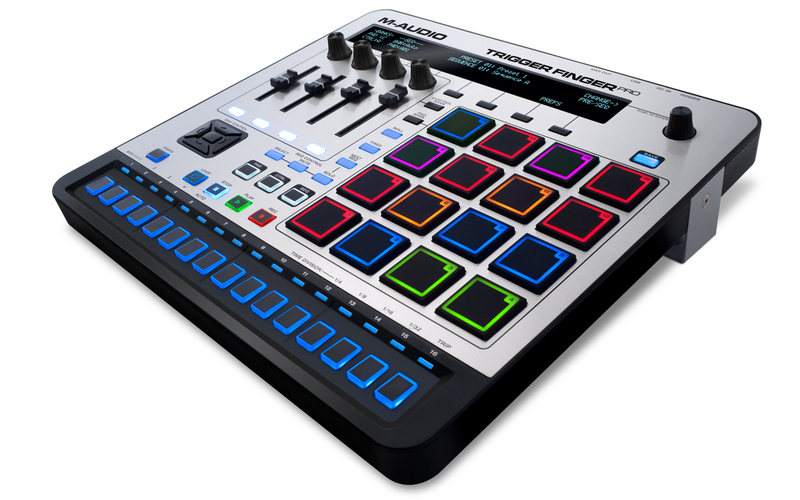 Perform, produce, remix, and take command of any audio software with an array of hardware controls: 16 velocity- and pressure-sensitive RGB pads and 4 assignable knobs, faders, and backlit buttons offer comprehensive control of virtual instruments, DAWs, effect plugins, and more. 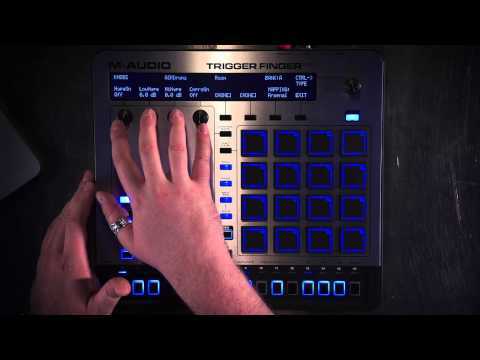 Trigger Finger Pro comes with an astounding collection of content and software to have you creating inspired electronic music fast. 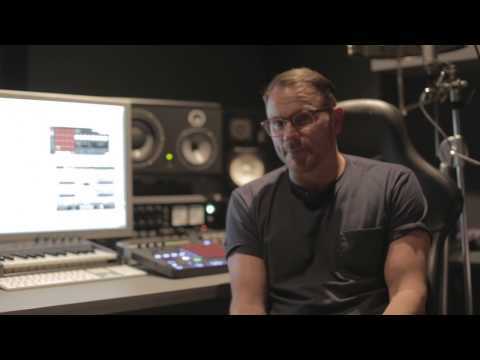 Over 5,000 samples of cutting edge loops, synths, drum kits and sound modules have been curated to provide the best-possible sounding content to producers and performers–including artist launch packs from Toolroom Records–the world’s leading dance label. 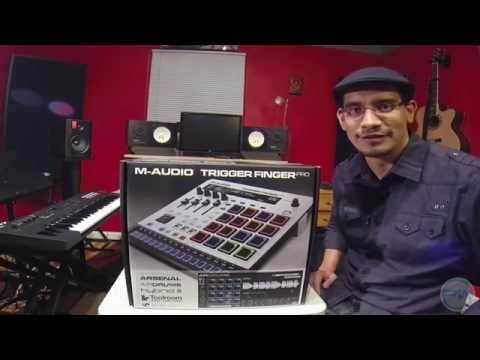 Looking for more sounds? 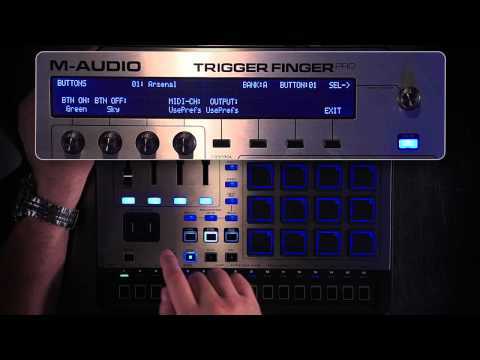 Check out the Trigger Finger Pro Expansions Page! 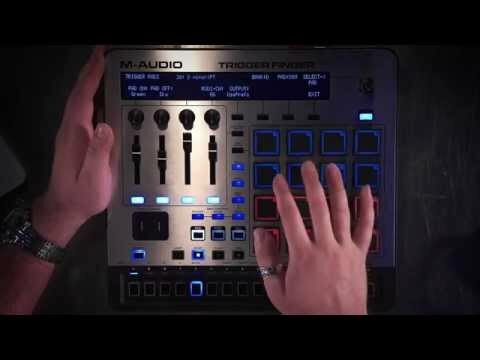 Four pad banks expand the number of Trigger Finger Pro's high-performance pads, up to 64 total, for dynamic triggering and finger drumming. 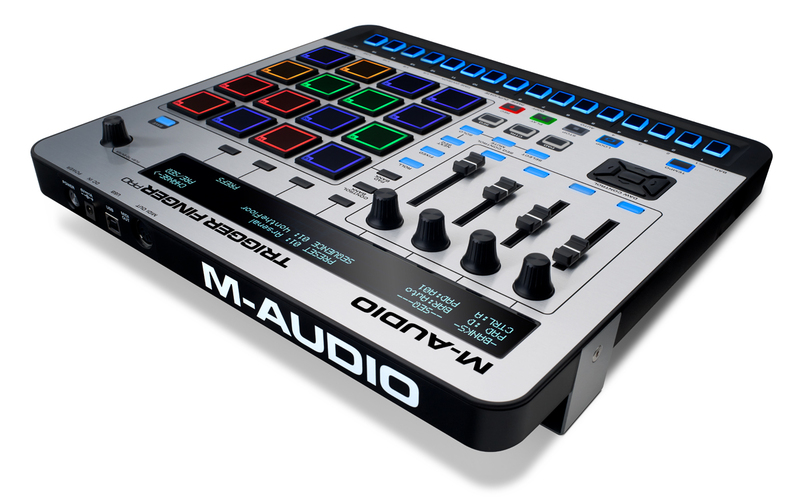 Four additional control banks expand the number of knobs, faders, and switches to 16 each. 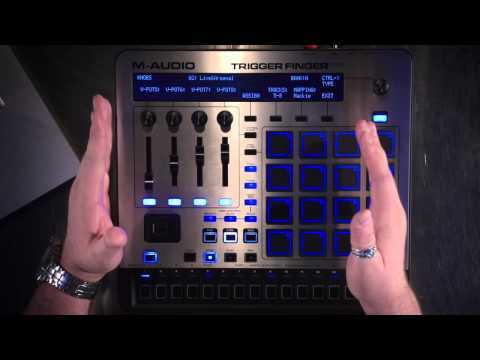 Trigger Finger Pro also supports Mackie Control and HUI for further DAW integration and hands-on mixing. 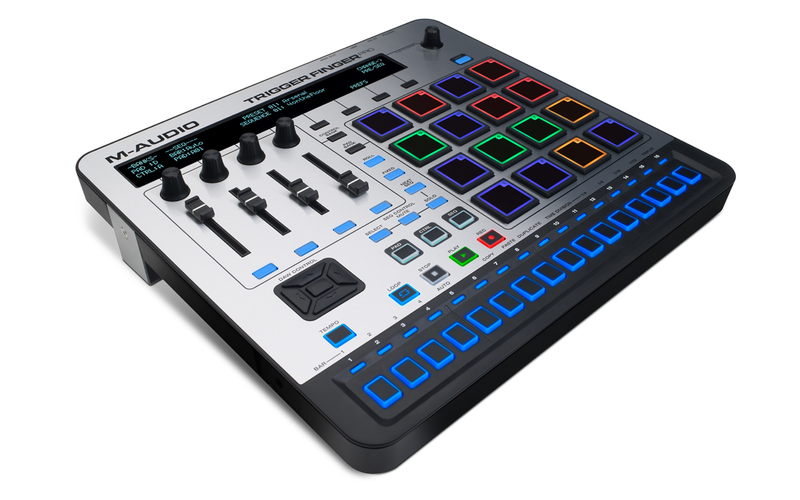 With its slimline design and removable 3-position stand, Trigger Finger Pro adapts to any production or performance environment. 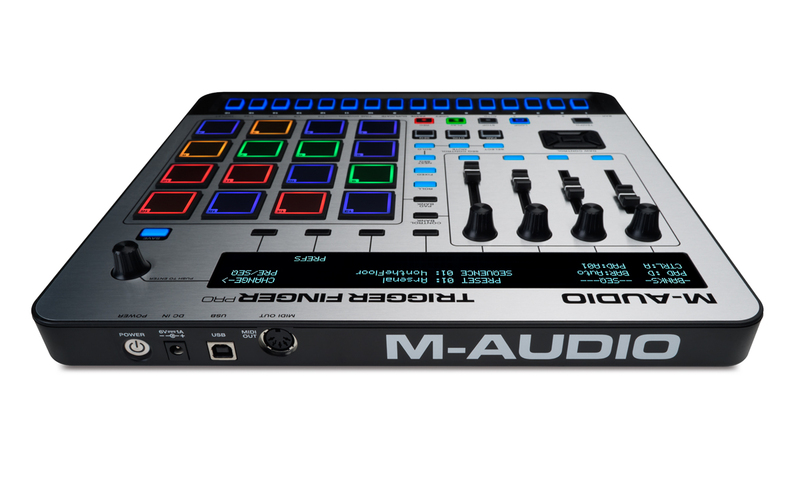 Multiple MIDI connections, a USB- MIDI and a 5-pin MIDI output, interface directly with music software/hardware and meet the demands of today’s hybrid software-and-hardware setups. Plus, Trigger Finger Pro is class-compliant and USB-powered for seamless integration with your Mac or PC. 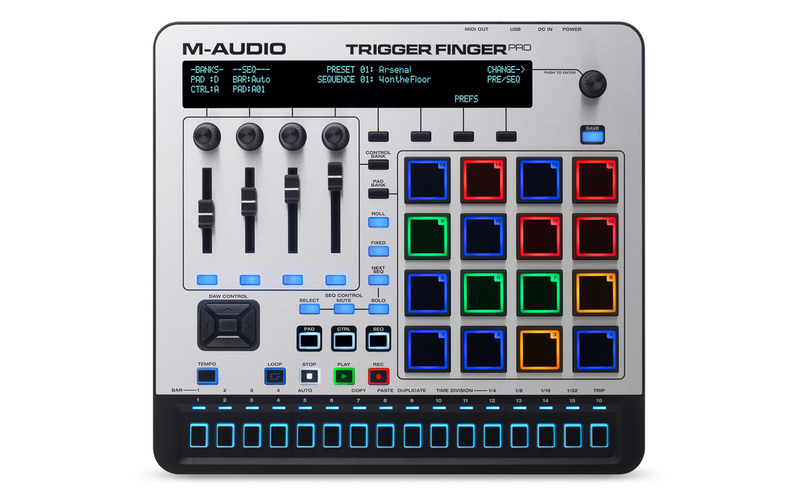 Trigger Finger Pro comes with the M-Audio Arsenal software and over 5,000 of production-ready samples, curated by industry tastemakers. 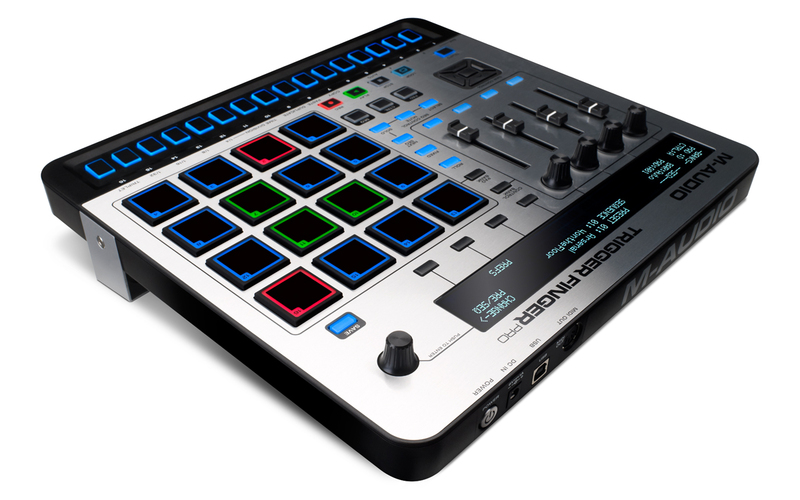 Arsenal is an intelligent production hub and advanced content library designed for your Trigger Finger Pro. Use the intelligent content filter parameters to find the sound, instrument or texture you need, quickly. 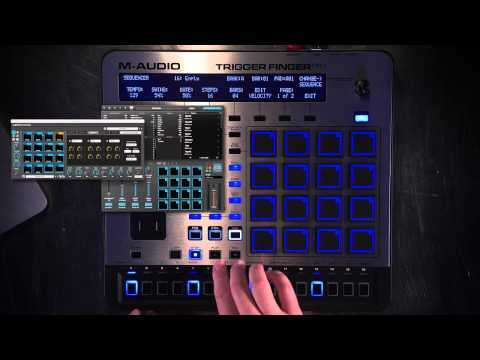 Arsenal integrates directly into popular DAWs, but can also be run in standalone mode. 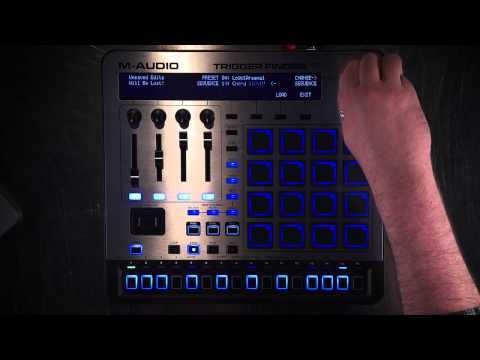 The latter lets you utilize VST instruments without firing up your DAW and is ideal for software- based stage performance. 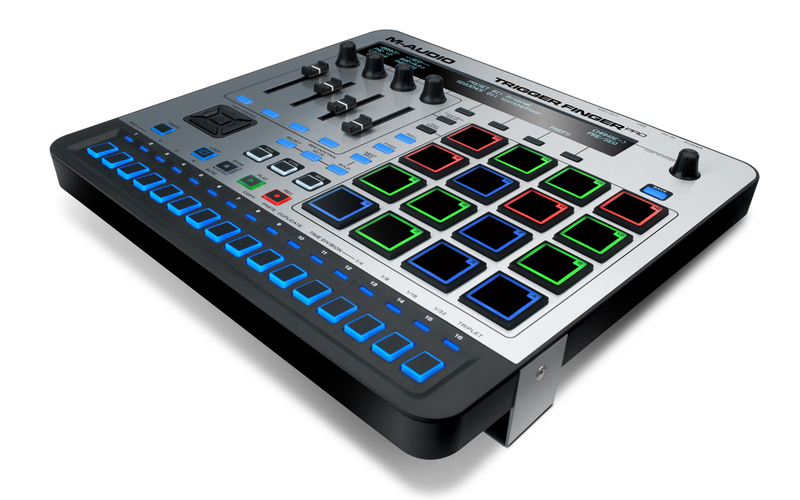 Finally, Arsenal's interface lets you map the hardware controls visually, making customization and workflow a breeze. 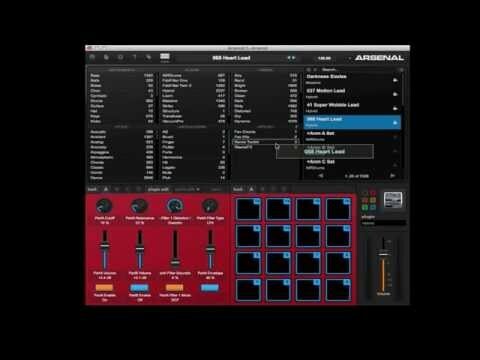 AIR Drums, by AIR Music Tech, is a virtual drum module that comes loaded with a world-class library of drum and percussion samples. 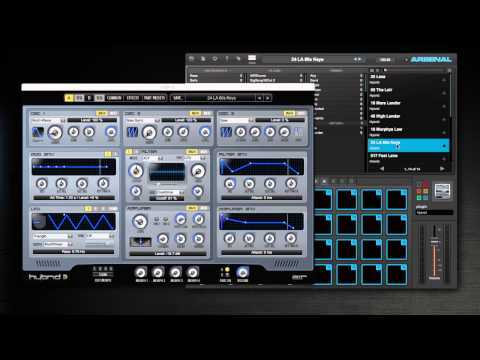 Hybrid 3, also by AIR Music Tech, is a high-definition synthesizer that combines the warmth of legendary analog synths with a full range of futuristic, digital manipulation capabilities. 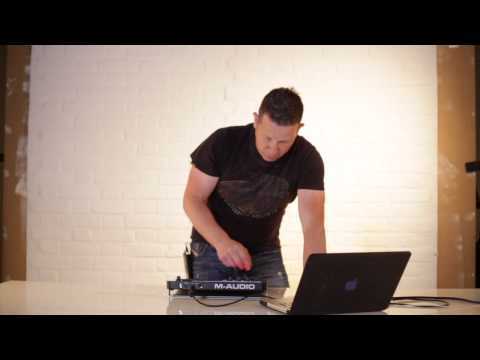 Toolroom Records artist launch packs include over 2,500 of premium instrumental loops, drum kits, and one-shots curated by the label's top-charting artists. 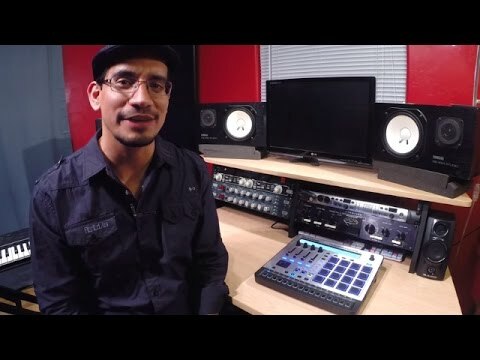 An expansive drum and percussion library by Prime Loops combines over 2,000 kick, snare, claps, and percussion sounds for unprecedented beat production. 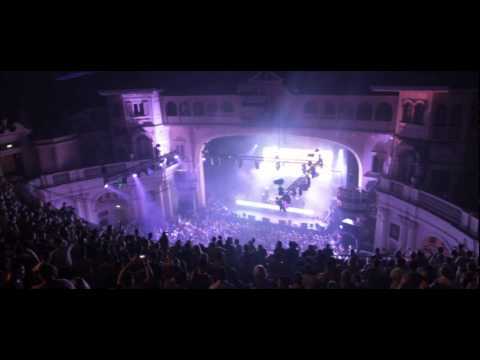 Additional artist content puts the best sounds of electronic music right into your hands.